. يعرف InterContinental Hotels Group بالمستوى الراقي لخدماته ولباقة موظفيه، وهذا ما ستجده في كراون بلازا كانبيرا. يقدم الفندق فرصة للاستمتاع بشريحة واسعة من الخدمات بما فيها: واي فاي مجاني في جميع الغرف, خدمة غرف 24 ساعة, محطة شحن السيارات الكهربائية, خدمة التنظيف يوميًا, خدمة سيارات الأجرة . تنعكس أجواء كراون بلازا كانبيرا في غرف الضيوف.اتصال لاسلكي بالإنترنت, حوض استحمام جاكوزي, سياسة التدخين - غرف لغير المدخنين متاحة, مكيف هواء, مكتب هي بعض الميزات الموجود في العديد من الغرف. كما أن مجموعة الخدمات الواسعة الموجودة في الفندق لضمان راحتك تترك لك الكثير من الخيارات لقضاء وقتك أثناء فترة إقامتك. مهما كانت أسبابك لزيارة المدينة، فإن كراون بلازا كانبيرا هو الخيار الأفضل لإقامة مثيرة وممتعة. يرجى الملاحظة أن المسبح مغلق من 26 أبريل، 2017 حتى سبتمبر، 2017 خلال الأشهر الباردة. يرجى الملاحظة أنه قد يتم تطبيق سياسات مختلفة وتكاليف إضافية، بما في ذلك التكلفة الإضافية على وجبة الإفطار الخاصة بالأطفال والضيوف الإضافيين. يرجى الملاحظة أنه سيتم احتساب رسم قيمته 3% عند الدفع ببطاقات الائتمان أمريكان إكسبريس أو داينرز كلوب أو جيه سي بي. يرجى الملاحظة أنه يتم احتساب تكلفة بنسبة 1.5% عند الدفع ببطاقات ائتمان فيزا أو ماستر كارد. سيطلب من الضيوف عند تسجيل الوصول إظهار بطاقة هوية تحتوي على صورة شخصية وبطاقة ائتمان. يرجى ملاحظة أن جميع الطلبات الخاصة ستكون رهنًا بالتوافر وقد تستلزم تكاليف إضافية. Hubby and I just needed a break from the heat, and didn’t want to drive interstate. Enjoyed our two days and definitely do it again. Hotel is close to shops so we could wander and go back multiple times to the hotel to shower or rest. 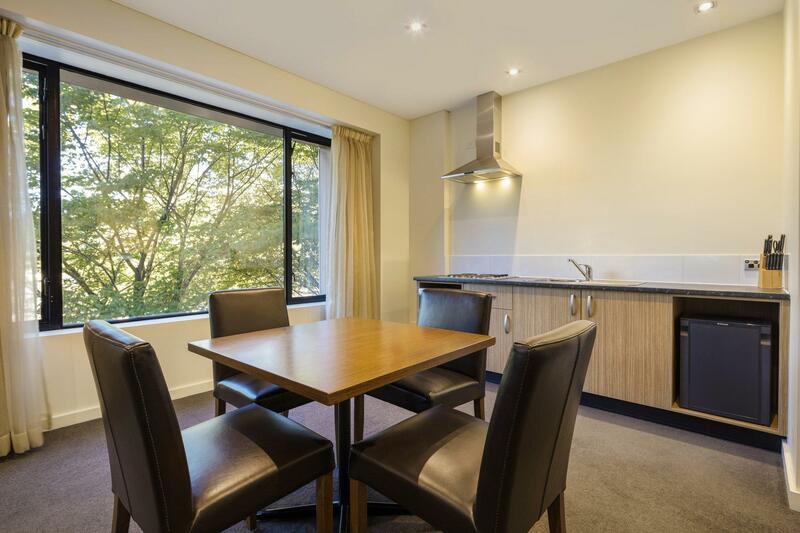 Staff were very friendly and room was spacious with a leafy view. Overall it’s a great place to stay. Great location. Bathroom is abit outdated but has been maintained and kept clean. I arrived late evening and receiption wasn’t paying attention to what I said, seem to be busy or distracted with something else. But when I checked out in the morning, service was excellent. I have been a regular visitor to Canberra over the years but I have not been back for five or so. I always stayed at the Crowne Plaze for its convenience. I must say the upgraded room and king beds are a delight. I will continue to stay there in future. Hotel very clean and staff very good. Restaurant is extremely over priced. I came in late and ate dinner at the hotel. Fine dining it ain't when things are overlooked. You need to order vegetables on the side at a cost of $8-12. Breakfast was a joke at $33. It said smoked salmon on the menu. There was none, when I asked, I got two slices brought to my table. When I went to get more, it wasn't even available on the buffet. We enjoyed using the Crowne Plaza as our base. We were given a free parking pass for the convention centre, since the long weekend meant the hotel car park was busy. The staff were friendly, but not imposing. 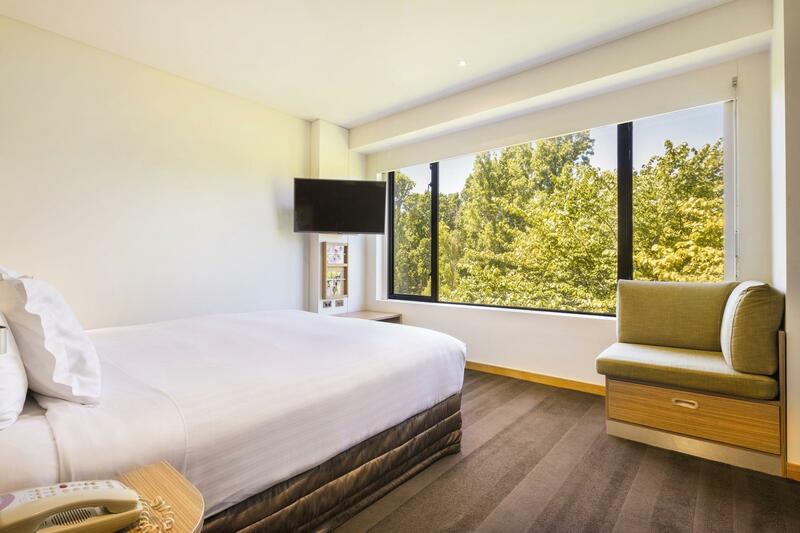 The room was spacious and comfortable with lovely green leaves outside providing a relaxing view. We would definitely return. Can not fault the stay. 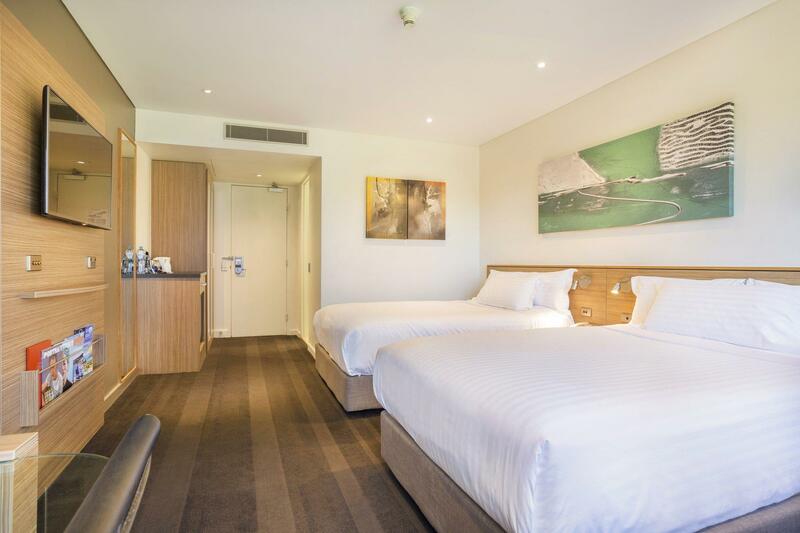 Clean rooms, good facilities centrally located decent breakfast. Difficult to find parking around hotel so had to pay fee for over night under ground parking. Walking distance to Central about 20minutes. A bit hassle with young kids. The good point is the casino is right below to your hotel. Asian food easy to get and it's tasty. Delicious breakfast, room is large and very comfortable! Would recommend to friends! We had just returned to civilisation after a strenuous 50km four day backpack walk along the beaches and coast. So nice to drop into the lap of luxury for one night on the way home. 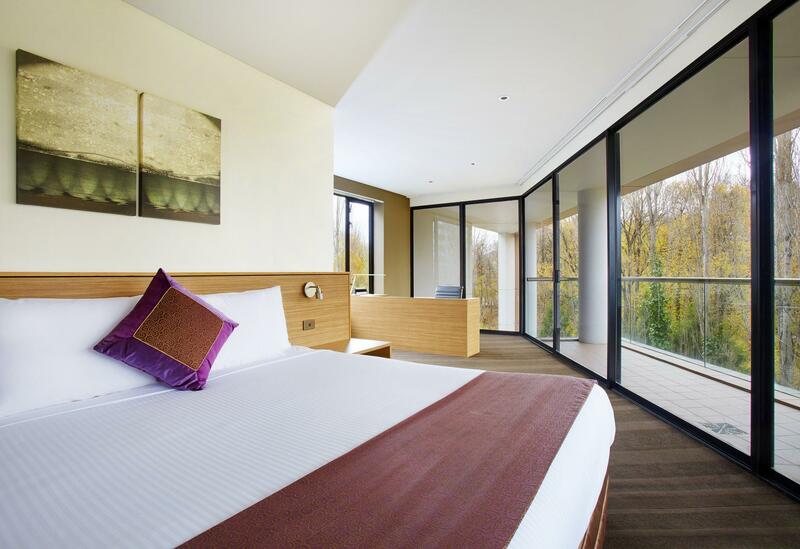 Wonderfully soft bed, clean sheets, spacious room with restful views over Glebe Park. Very handy, quiet location to nearby Civic shopping mall, cinema and restaurants, and the lake. Staff friendly and working very hard to please. Will definitely stay here again. Only downsides was the small and crowded swimming pool, full of little kids and dirt during the summer holidays, so we did not use it. . In winter months this would not be an issue as Canberra gets very cold. Also charging their own patrons $20 per night for car parking was a mean touch. Great hotel otherwise in all counts. 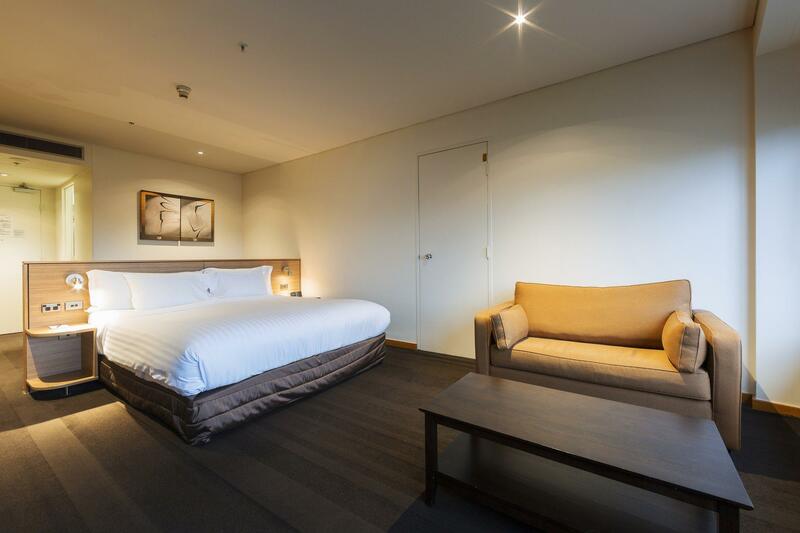 Large rooms, walking distance to CBD, nice park nearby, INCREDIBLE full buffet breakfast, friendly staffs. Parking needs to pay extra $25 but acceptable due to secure & unlimited entry/exit. The one and only negative comment is the toilet seat wasn’t clean properly that have lots of dust and stain. Overall, I would like to recommend this hotel to any type of travelers. Easy walk to civic, we enjoyed our dining experience and breakfast was great. Our room was well situated within the complex and we had city views with a great tree to look at. Carparking no problem , we would recommend this gem! Overall I have a good stay in Canberra with my kids and wife. The check in was fast and the location is great. However it's unfortunate we were awaken up at 3am on our first night when there was a false fire alarm, which we couldn't go back to bed after the announcement. Overall it was a pleasant stay but I asked for an upgrade to a park view and was given a room with a brilliant view of the air conditioning vents at the back of the hotel, not quite what I was expecting. In house dining was very fast however for a 4 star hotel I would've liked my hot chocolate served in a real cup instead of a paper one! While there, we needed to extend our stay as our daughter needed longer in hospital than expected. We were able to do this through Agoda, no problem, and the hotel allowed us to stay in the same room, which was perfect. The hotel obviously has a variety of rooms and ours was well-equipped for our difficult situation - close to lifts and the bathroom set up easy access. We appreciated this. We also appreciated the easy parking under the hotel - park your car, step into the lift and take it up to your hotel floor - very easy. The staff were very helpful on arrival, as our daughter needed a wheelchair - they were straight on to it. We did find the food a little pricey, but it is a top hotel and that's what comes with it. Room service meals were very tasty. The breakfast wasn't included in our room price, but we did go down one morning, and very much enjoyed the variety and quality. Next door to the hotel is a lovely little park, and then just down the road is the central city mall which has a variety of shops, restaurants, and a couple of supermarkets - so convenient. Overall, I would highly recommend this hotel. We very much enjoyed our stay here. 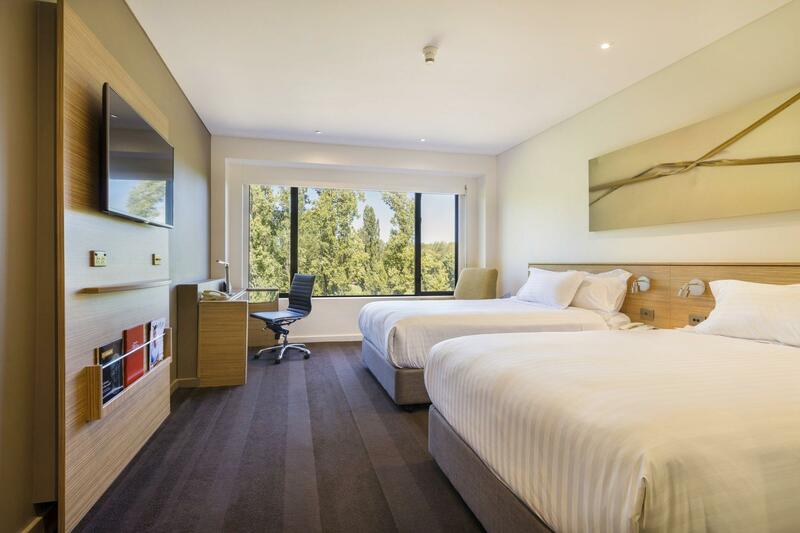 Location is perfect as it is in walking distance to the Canberra Centre which has a good variety of shops and restaurants. Easy to get around on foot. The small park next door was very much appreciated on the warmer days also. The carpark under the hotel was convenient as the lift would take you directly to your hotel room floor. Our room was lovely - spacious, with big comfortable beds. The breakfast, although pricey was delicious and plentiful. Staff were always very helpful, answering our questions promptly and efficiently. 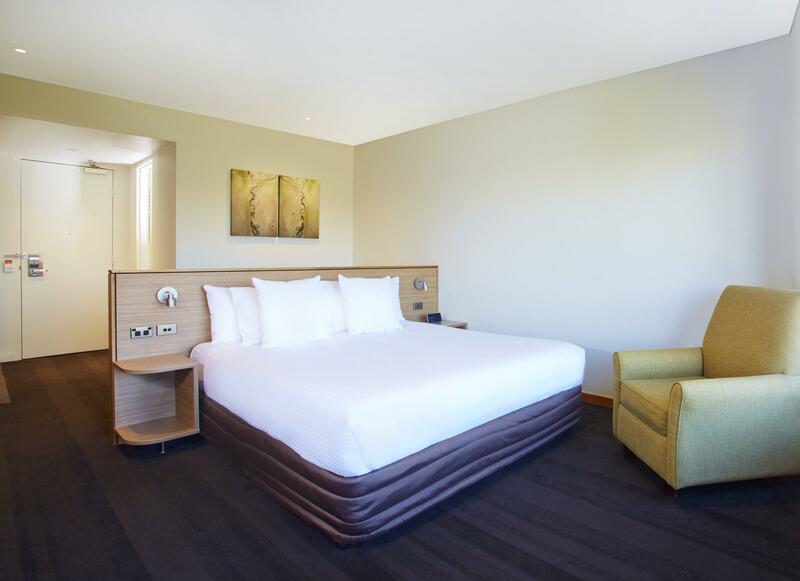 We would recommend this hotel to anyone who enjoys a bit of luxury and comfort.